On the 10th of December 1815, that is 199 years ago, Augusta Ada Byron, Countess of Lovelace, was born. She is more commonly known just as “Ada Lovelace”. She is often seen as the founder of computer science and as the first programmer in the world. Her upbringing and the way she got into computer science is quite amazing considering the time she lived in. Her mother supported her and brought her up as a scientist, logician and mathematician. Ada loved everything that had to do with machines from a young age. Mary Sommerville was Ada's mentor who introduced her to Charles Babbage. Babbage had made plans for a very complicated machine called the “Analytical Engine”. Those plans aligned very well with Ada's interests and she quickly understood Charles Babbage's plans. In 1842 she was asked to translate and expand an article written by Luigi Menabrea about the machine because of her extensive knowledge of the subject. The article she wrote came in at over three times the length of the original and sketched out examples and programs for the machine. The first computer programmer was born. Babbage and everyone else was very impressed by her skill. 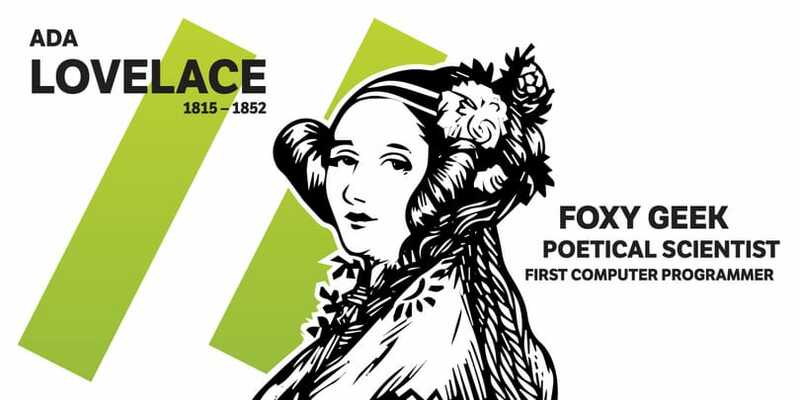 It is for this skill and her curiosity that Ada Lovelace is the proud name of one of our meeting rooms here at Liip. What I take out of this story is that Ada had mentors and friends and supportive parents helping her become as strong as she did. If you are looking for a mentor, or would like to help raise the next Ada phpmentoring.org is really cool!